When the Catalans came to Mallorca in 1229 to successfully conquer the island from the hands of the Almohad Caliphate, all Mallorcan land and its properties, titles and possessions had to be first catalogued and then, distributed. An inventory of all land, buildings, animals and goods was collated in a thick volume of handwritten pages called Llibre de franqueses i privilegis del Regne de Mallorca where apart from the stock taking, the liberties, privileges, rights and benefits granted to the king and his noblemen were carefully listed. In that inventory, more than one hundred Alqueries, Rafals, Rafols and Rafalets were listed. An Alqueria used to be a small rural community, you could say a hamlet or settlement, consisting of a few buildings where one or more families lived together and worked the surrounding land. Rafals and Rafalets are similar and differ perhaps in their extension. Always, these Berber settlements in Mallorca were located at or near a water source, such as the one in the photo (above), a pou. 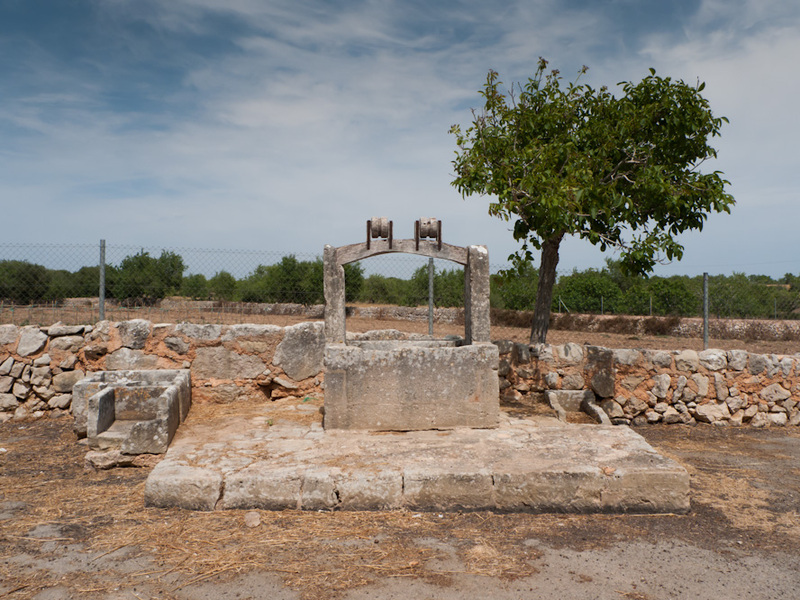 Today, you will find perhaps a dozen Alquería settlements, hamlets or pueblos all over the island, all dating back originally to the time before the Catalan invasion. The photo was taken near s’Alquería Blanca, Mallorca, Baleares, Spain. The date: June 8th, 2012. The time was 15:54:15.